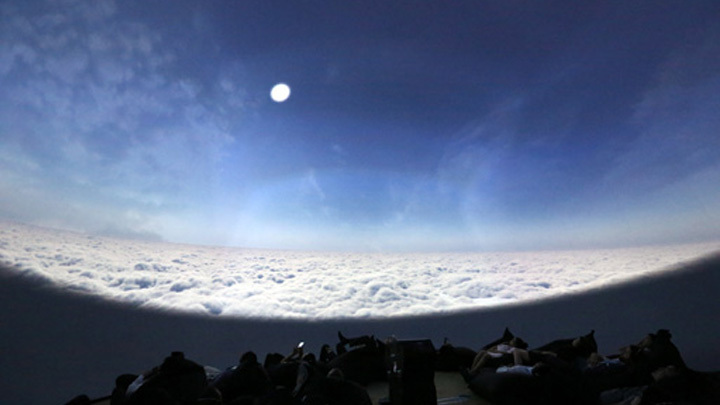 A fulldome movie is projected on a 360° hemispherical screen (Dome, Planetarium) that surrounds the audience. The viewer is thereby in the center of the action and is much more emotional affected then by conventional flat screen projections. In comparison to virtual reality headsets (htc vive, oculus rift, google daydream, samsung gear vr, google cardboard, etc.) a fulldome experience is a shared experience. People can therefore enjoy an experience together with others, as the projection is above the head or in a full-sphere projection completely surrounds an audience. With the steady development of the VR industry, conventional fulldome productions, which are traditionally only target B2B clients, now also reach the B2C mass market. On the other hand a 360˚movie experiences that where produced for VR can be shown in traditional fulldome movie theaters. The vfx alliance uses this revolutionary technique to create spectacular movie experiences. We offer a full range of fulldome production service from story development and the production but also consulting service about every technical aspect like portable 360° event domes and the projection system. Check out the Space Blue- Clouds. The content is computer generated and therefore seamlessly loop-able and available in a resolution of 4096 x 4096 in fulldome format. 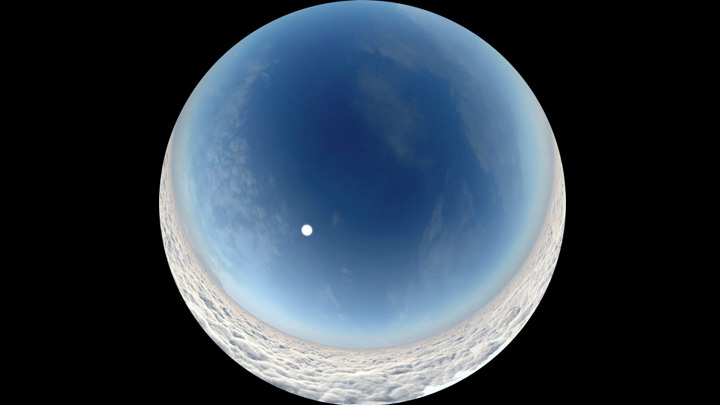 Space Blue – Clouds was premired at the World Economic Forum “Annual Meeting of the New Champions 2014″ was held in Tianjin/China in September 2014.